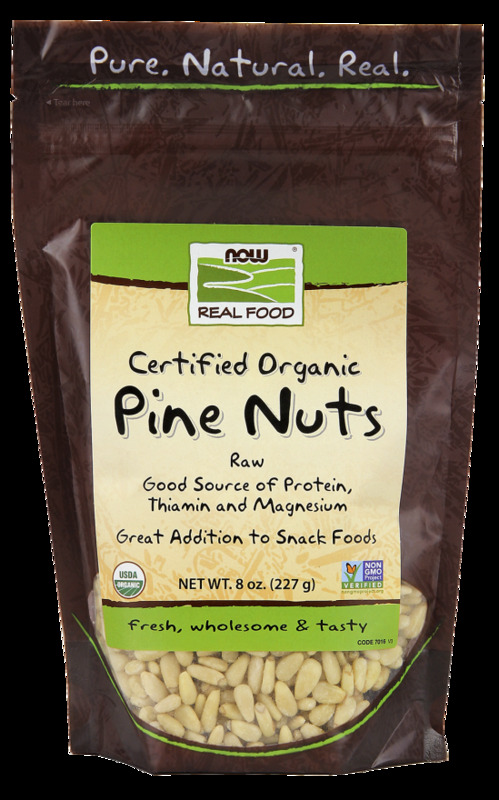 Many people are surprised to find that pine trees actually produce an edible nut that’s not only tasty, but nutritious as well. In fact, pine nuts have been widely consumed since prehistoric times, and have enjoyed extensive culinary use in many different cultures. As with most nuts, pine nuts are a good source of iron, thiamin (vitamin B1) and magnesium. Similar in size to sunflower seeds, NOW Real Food® Pine Nuts are an excellent snack, but they really shine when added to salads and other vegetable dishes, or as a hearty addition to home-baked bread. Once you try them we're sure you'll be "pining" for more!